Stunning, remodeled home in the desirable neighborhood of Sunrise on English Hill. The great room style floorplan boasts 1,670 s.f. and features 3 bedrooms, 1.75 baths on a 8,415 s.f. lot. The list of recent and extensive updates include: Outside – high quality roof and refinished deck. Inside – Remodeled kitchen and laundry room, updated bathrooms, new carpet and stained oak hardwood floors. The sunny entry welcomes you with skylight and sliding barn door to the spacious coat closet. Elegant formal living room with beautiful gas fireplace, vaulted ceiling, exposed beam and designer lighting. Remodeled kitchen with new soft close cabinets, Pentel quartz counters, farmhouse sink, tile backsplash, huge breakfast bar, pantry cabinet, French doors to the back deck, commercial grade 6 burner gas stove and stainless steel KitchenAid refrigerator included. Sunny dining area adjoins the kitchen and family room – perfect eat-in kitchen with built-in cabinets, additional counter space and wine fridge. Relaxing family room with built-in desk area, skylights and bay window. Generous master bedroom with wall of closets, ceiling fan and large sliding door to the back deck. The updated attached bath includes oversized vanity, granite tile counter, slate tile floor, spacious shower with slate tile, skylight and heat lamp. Two additional bedrooms are spacious. The full hall bath has been update with tile floor, large vanity, tile counter and back splash. Laundry room with custom tile floor and newer front load washer and dryer included. Lush, fully fenced back yard with a large refinished deck, ample lawn for play, and a storage shed. Attached 3 car garage with extra deep 3rd bay for additional storage – work bench included. Outstanding Northshore schools – Sunrise Elementary, Timbercrest Jr High & Woodinville High. Tony is the best real estate agent we have ever worked with! Whilst out for a coffee we stumbled across a house that seemed perfect for us. We called Tony, who squeezed us into his already hectic day, meeting us at the house we wanted to buy, where he provided instant access to key relevant data that together with Tony’s expert advice enabled us to make a competitive and attractive offer to the seller; 24 hrs later we had agreed to buy a new home. 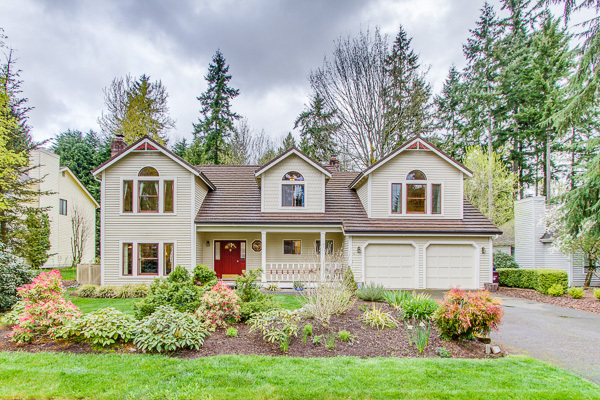 Sold for 16.7% Above the List Price in Redmond – Smooth and profitable sale facilitates move to a larger home. Selling a home is as stressful and hectic a time as you can ask for, but thanks to Tony, the sale of our home went more smoothly than we could have imagined! Tony’s knowledge, demeanor and communication kept us informed and at ease throughout the process. No detail went unchecked. Tony is a true professional.